Go where buses can't go! Did you know buses aren't allowed on almost 70% of San Francisco streets! Trade the large tour bus for a guided luxury minivan and see more places like Coit Tower, Sutro Baths and more! Your guide takes you through more neighborhoods, complete with views of Alcatraz, the Golden Gate Bridge, Twin Peaks and several other famous landmarks. This 4 hour tour shows you places no tour bus is allowed to take you. The tour only has space for 5 people. The tour route includes Union Square, China Town, Financial District, North Beach, Coit Tower (Photo Stop) Fishermen's Wharf, Palace of Fine Arts (Photo Stop), Golden Gate Bridge/Fort Point (Photo Stop), Seacliff, Legion of Honor, Sutro Baths (Photo Stop), Ocean Beach, Golden Gate Park, Haight Ashbury, Twin Peaks (Photo Stop), Castro and Painted Ladies (Photo Stop). *4 hour tour with only 5 people, not a bus full. 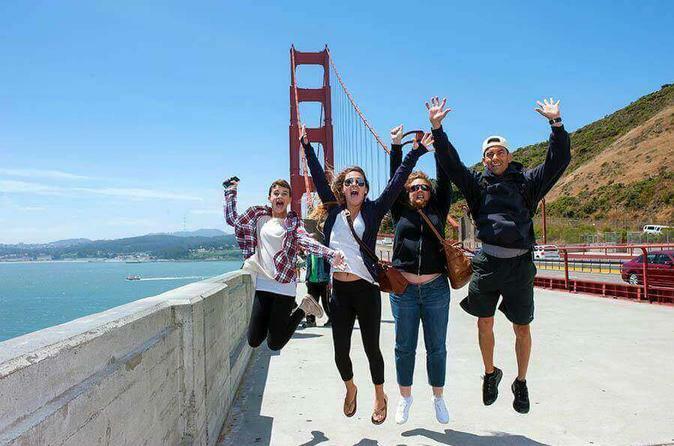 *6 stops along the way at places such as the Golden Gate bridge, Twin Peaks and Coit Tower.